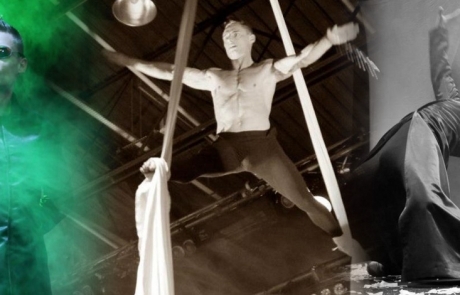 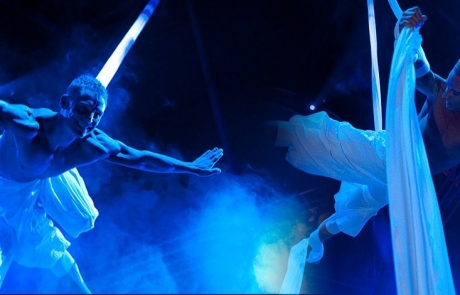 Here you will find breathtaking aerial acrobatics shows, the aerial silk, or the aerial net, on a flying rop , the air ring or cubes , as well as on aerial straps or on handstand prop . 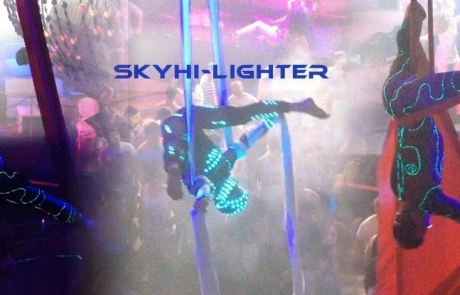 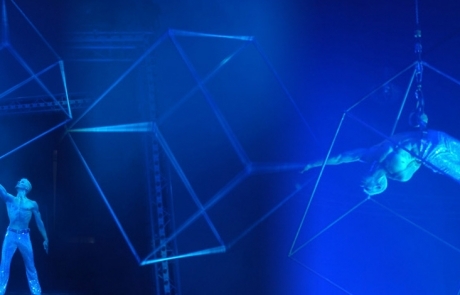 Our aerial acrobatics shows are the attraction at galas , corporate events , product show, shows in austria and europe . 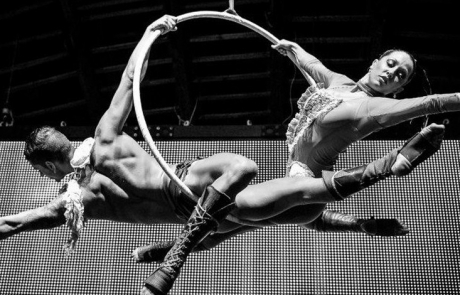 Circus art pure.